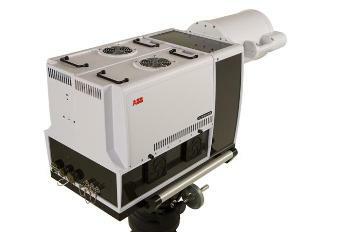 With more than four decades of innovation and being recognized as a world leader in spectroscopy, ABB is expanding its line of remote sensing products with a newly developed FT-IR hyperspectral imaging spectroradiometer operating in the infrared. 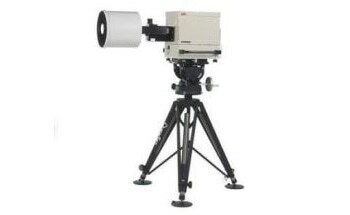 The MR-i is based on the MR-Series product line, and offers accurate temporal (quick scanning), spatial, spectral and radiometric information of infrared targets. The hyperspectral MR Series of spectroradiometers consists of a FTIR Michelson interferometer configured with dual output ports used to cover the LWIR and the MWIR + SWIR spectral range at the same time. Conventional mono-pixel FT-IR spectroradiometers offer unique performance such as improved sensitivity over the instrument field of view (FOV) and higher spectral resolution, but with multi-pixel FT-IR hyperspectral imagers the possibilities are extended in infrared characterization. They offer accurate spatial characterization of a target’s signature by spatially resolving the vital characteristics over the observed scene. The captured data is exploited further by integrating the spectral and spatial information of the scene. Due to this, an FT-IR imaging spectroradiometer has the unique capability of producing 3D images (2D images with spectral bands in the Z axis) offering a spectrum with every pixel of the mapped scene. A single instrument covers the three key atmospheric windows from 1.5 to 14 µm, extending the range of possible applications from infrared characterization to gas detection. The MR-i imaging spectroradiometer is made up of a dual input and output ports Fourier Transform Infrared (FTIR) Michelson interferometer. The four-ports configuration allows data acquisition from two complementary cryogenic detectors (MCT and InSb) at the same time to cover the long- to the short-wave spectral range (LWIR, MWIR and SWIR) for optimal SNR out of all measurements. The two detectors are fully independent from each other and have their own filter holder, lenses, and field stop aperture wheel, so each detector is optimized for best performances. The MR-i is the first commercially available FT-IR hyperspectral imaging spectoradiometer that is capable of dual-camera operation, covering the MWIR and LWIR of the electromagnetic spectrum at the same time. The MR-i four-port interferometer can contain a combination of two varying types of camera modules (MWIR/LWIR), extending the instrument spectral range coverage, or a combination of two identical camera modules (MWIR/MWIR), extending the instrument dynamic range. With this unique feature, the MR-i can acquire and perfectly synchronize the data of two interchangeable camera modules at the same time, making the instrument adaptable to numerous measurement scenarios. Certain applications such as targeting an infrared signature frequently require simultaneous measurements of high and low intensity emission sources erratically dispersed over the mapped scene. The signal-to-noise performance of each individual detection module is influenced by the integration time of the camera. Setting the integration time in relation to the energy level of the hot pixels will negatively influence the signal-to-noise performance of the cold pixels in the scene. Conversely, having the integration time pre-set for highest signal-to-noise performance of the cold pixels will result in saturation on the hot pixels. The MR-i is designed to offer unparalleled sensitivity for the characterization of a target’s IR signature. With both ports fitted with detector modules covering the same spectral range (LWIR-LWIR or MWIR- MWIR), they can be independently fixed to different gains or integration time to extend the dynamic range of the instrument. This significantly enhances the faintest and brightest areas of the observed scene. The MR-i is the fastest FT-IR imaging spectroradiometer available in the market. It produces the highest datacube measurement rate on the market. The MR-i is fitted with state-of-the-art cameras modules that can offer the highest frame measurement rate available and is well suited for the characterization of rapid moving and quickly evolving targets. Both camera modules in a single instrument produce an unparalleled measurement rate and provide the perfect combination of spectral coverage, time resolution, dynamic range, and spatial resolution performance ever seen on a COTS FT-IR imaging spectroradiometer instrument. A linear array multi-pixel sensor optimized for differential acquisition in the VLWIR (cut off near 14 µm) can be configured to the MR-i. For this configuration, the instrument is fitted with a dual-input telescope that can perform optical background subtraction. The resulting signal is the difference between the spectral radiance entering each input port, eliminating the clutter impact of the background. This specific configuration has been built to support scientific research related to stand-off detection and detection of chemical agent threats. The MR-i can be easily adapted to multiple applications. It has user-configurable modular architecture that offers users the flexibility to adapt the instrument to the characteristics of a specific measurement scenario. The MR-i can be reconfigured by the user without requiring re-calibration or factory reworks by just interchanging or combining a variety of detection modules or input telescopes. This powerful and innovative method extends engineering modeling applications. It is also used to enhance different types of IR emitting sources. FT-IR imaging spectroradiometers offer important information for modeling IR emitted source of energy and mapping the spatial evolution of the radiance.